If you were born between 1945 to 1965, then you belong to the Baby Boomer Generation. According to The Sun, this generation is known to be the wealthiest, healthiest and most active generation in history. I am a Baby Boomer, born in 1964. Now in my 50s, I am doing my best to keep up with the trends of this current generation. From health discoveries to innovations in technology, I am amazed at what the human race has achieved. The Millennials or simply put, the youth of today are glued to gadgets. Little electronic devices that help them stay connected and up to date with their friends and family, help them with homework, keep track of their diet and exercise, track location and play music wirelessly. Oh, the convenience of these innovations! My kids have those gadgets - smartphones, tablets, fitness trackers, and whatever-you-call-that-talkative-speaker-thing. As a middle-aged mother of three young adults, I too, have invested in gadgets, although most of these are entirely different from the ones that my children own. In this post, I will share my list of the five must-have gadgets for the Baby Boomer generation. I invested in a digital blood pressure monitor three years ago. I chose one that would give me not only a blood pressure reading but my heart rate as well. 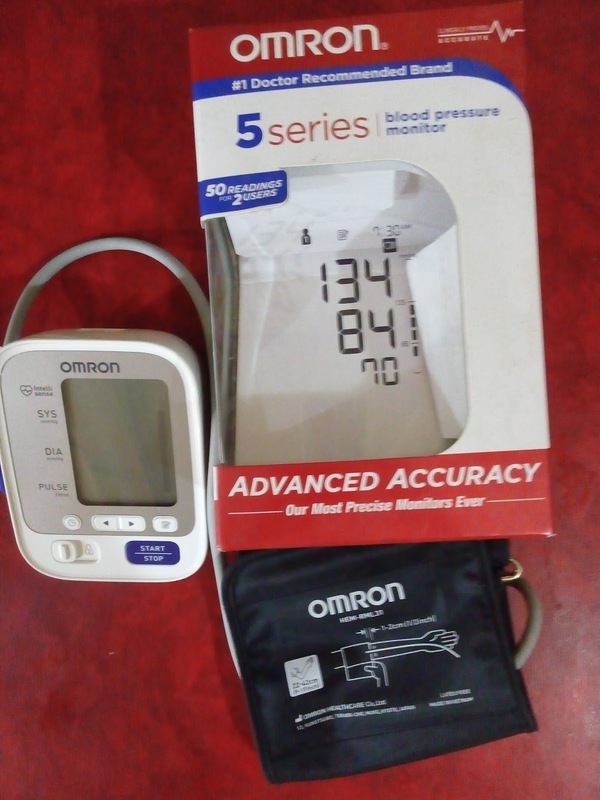 My trusted gadget is the 5 Series Omron Upper Arm Blood Pressure Monitor. It alerts me if my blood pressure or heart rate is high and it also gives an irregular heartbeat warning. What is great with this monitor is that it also allows me to store up to 50 results with date and time stamp for 2 users. That's 100 readings stored in its internal memory! I have Diabetes Mellitus Type 2. I have had this chronic illness for 15 years now. 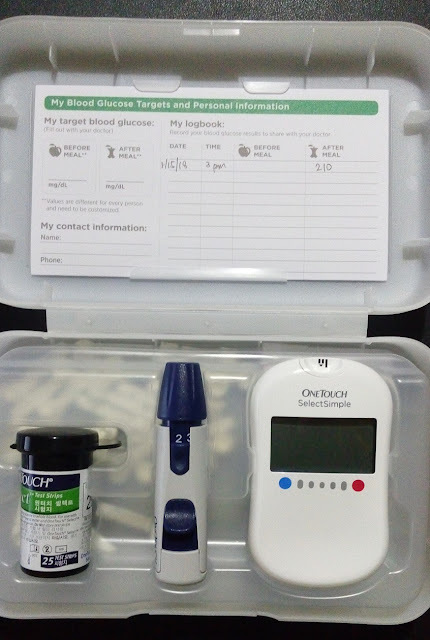 It is important for me to take my blood sugar readings regularly, which would help my endocrinologist assess the effectiveness of my current medication. I've gotten used to pricking my finger to draw blood. For me, it is as routine as browsing Facebook. I have a One Touch Select Simple blood glucose monitor and it has been my buddy for quite a while now. The DeVilbiss PulmoNeb Compressor Nebulizer System was the very first medical device we purchased for home use. My husband has COPD and he has episodes of wheezing and difficulty breathing. This device is really good to have at home. 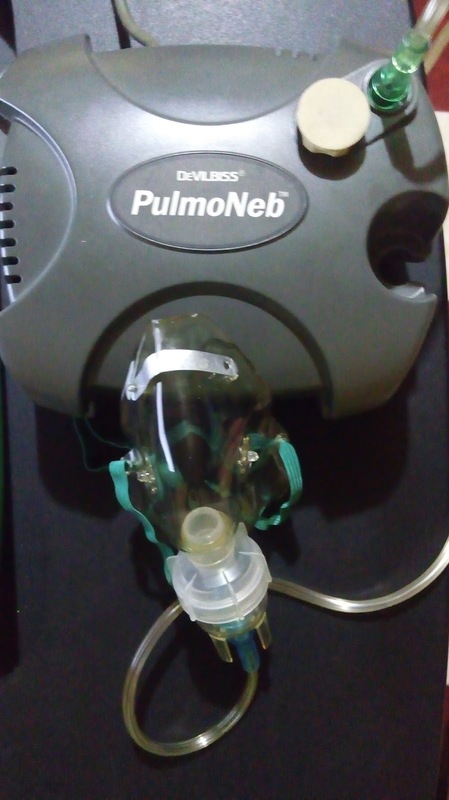 We can also use this nebulizer when someone in the family has a stuffy nose. We put a normal saline solution in the receptacle instead of our bronchodilator vials. My husband suffers from epileptic seizures and we need to make sure his oxygen levels do not get too low during seizure episodes. 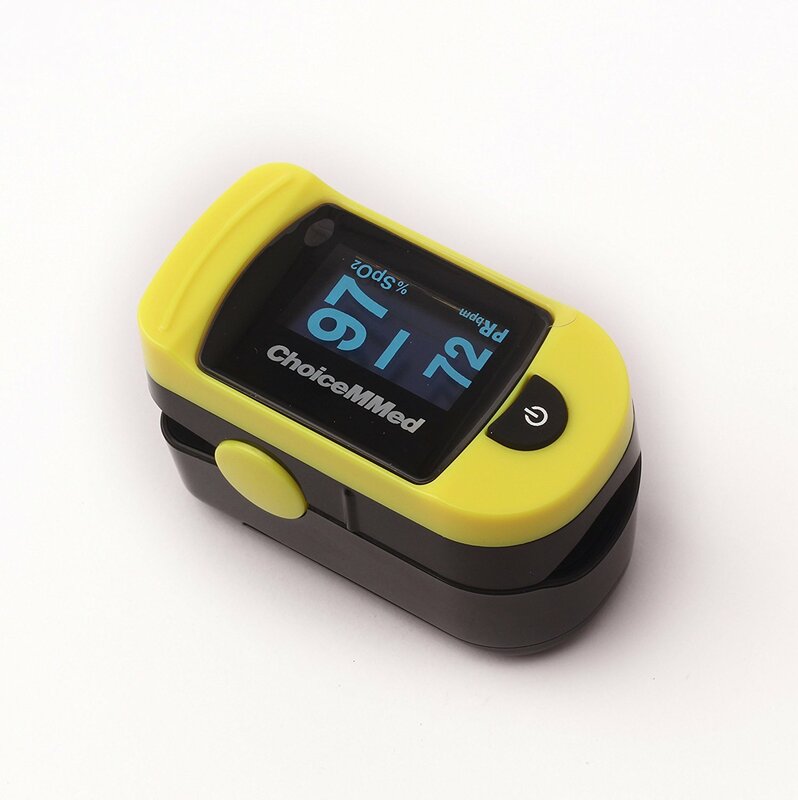 We can also use it to get blood oxygen readings when doing certain activities at home, at work or during leisure time. That way, we will get to learn which activities affect our blood oxygen saturation. As we age, our physical activity becomes limited due to decreased flexibility and strength. Putting other factors into consideration like high blood pressure and joint problems, trips to the gym become less frequent. In my case, I was advised to continue exercising but only chose those that are low impact activities. Walking is my exercise of choice and I do walk a lot! A pedometer will help me keep track of the number of steps I did during the day, the distance covered and the calories I burned. I can set a goal for the number of steps to complete daily too. A pedometer will help me with all that without having to use an app on my smartphone. Simple, straightforward information provided in one glance. So these are the gadgets I and my husband have at home. Of course, we have our own smartphones, a laptop, a desktop and Bluetooth speakers but none of that other stuff. We may be technologically challenged at times but we have the right gadgets that will provide us the information we need. Note: This is NOT a sponsored post. The products I have mentioned in this post are the ones we have chosen and bought for ourselves. We do vouch for their quality, having used them for quite some time. If you do wish to purchase, feel free to browse online stores for pricing and availability.